Stretford and Urmston - Working for the residents of Stretford and Urmston all year. 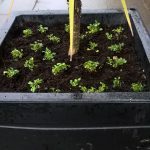 A number of planters have been relocated from outside the old AMEY depot in Carrington to there new locations in Urmston. This one is outside the Age UK Trafford building on Church Road and was planted up with bulbs and pansies this morning by Geoff and Christine Turner as part of the Urmston in Bloom work. 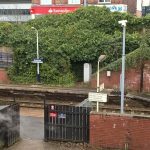 We are very pleased to be able to say that work has commenced on pruning the bushes at Urmston Station. 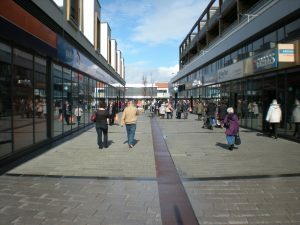 This work was carried out by Carillion on behalf of Northern Rail. Well done Northern Rail and David Byrne in particular. 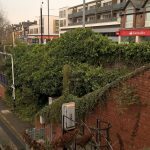 The remainder of the bushes are on land maintained by Network Rail and hopefully they will commission the work to remove the bushes so that the beds can be replanted. 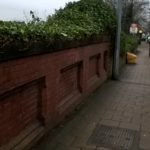 Campaign started to restore Urmston Station Bridge lights and tidy up the bushes. Residents have asked that the lights on the bridge on Station Road are fixed so that the lights work again. Having confirmed these are owned by Trafford Council, local activist Christine Turner has reported them and is waiting for a reply on when they will be fixed. 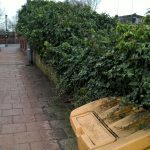 Also, as part of UrmstonInBloom, a request has also gone into Northern Rail asking them to tidy up the bushes and undergrowth on the station. 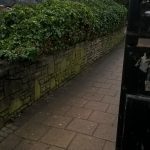 Lots of the bushes are now overgrown and they are starting to go over the dividing wall onto Flixton Road. 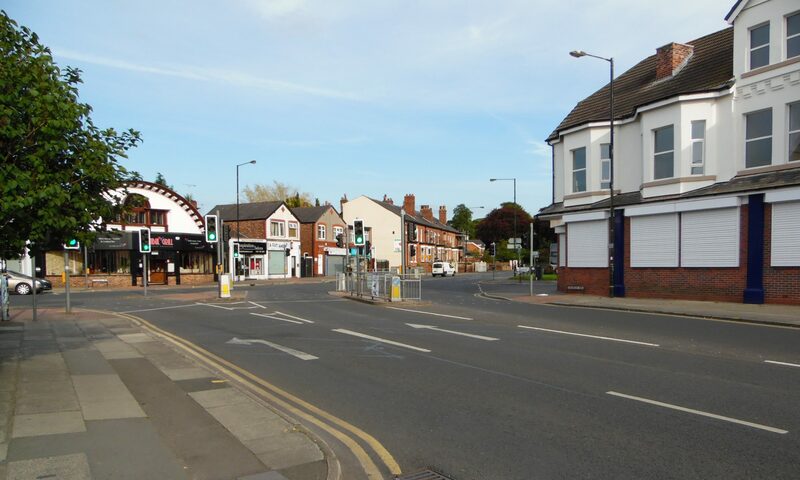 Conservative campaigner, Christine Turner wrote to residents on Victoria Road in April 2016 about the poor state of the road surface, that she had reported this to the Council and would continue to press for the road to be resurfaced. The lobbying has worked and Christine is pleased to report that Victoria Road has been resurfaced. Just the white lines to be added. In a move that is worrying and indicative of the chaos engulfing the Trafford Labour group, and in an affront to democracy, Labour councillors abdicated their responsibilities to the residents they pretend to serve and walked out of a meeting of Trafford Council. Trafford Conservatives today condemned the action taken which appeared to be for no other reason than to pull a party political stunt that resulted in wasting taxpayers’ money and leaving many important issues unheard. Those in the public gallery were left bemused and unimpressed as Cllr Western suddenly shouted ‘right we are leaving’ after the Council’s independent Statutory Monitoring Officer had ruled upon a legitimate Conservative amendment. Disgracefully, this premature and petulant action left motions on Dignity in Social Care, Public Sector Pay Cap, Universal Credit and Minimum Waiting Times for Non-Urgent Surgery, issues that matter to the people and businesses of Trafford unheard. 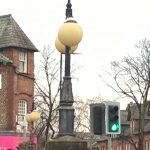 ‘The Conservative group moved a legitimate and appropriate amendment that was ruled acceptable by the Council’s independent statutory and most senior legal officer. We are shocked and confused as to why the Labour group chose not to accept this professional advice and walk out. That the default position of the Labour group and their leader is to walk out of a debate for no legitimate reason simply serves to indicate how unfit their temperament for office is and exhibits a childish nature that has no place in Trafford politics. They should apologise unreservedly to the residents of the borough and reflect on how their actions portray our communities. This type of behaviour cannot be tolerated in Trafford and needs to be called out. It is a sign of things to come should Labour ever get near control of the Council that they would just walk out anytime somebody disagreed with them and would wilfully ignore the professional advice of senior officers. Our residents deserve better. Politicians often receive a bad press, but Trafford Conservatives and my administration are working hard to find solutions to difficult issues, to not duck our responsibilities and to behave in a manner that is built on integrity, ethics and trust so that we use politics for the good it can be in Trafford. 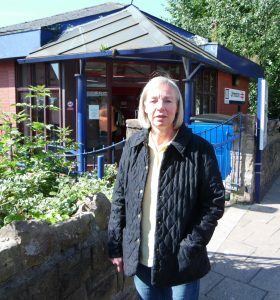 In 2015 after residents raised concerns with her about poor ticketing options at Urmston station, Christine Turner led a campaign to have a ticket machine installed. Christine said “Installing a ticket machine will help to reduce queues and save time for residents”. 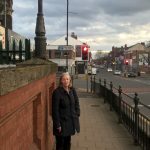 Asking residents to support the campaign and sign the petition Christine then wrote to Transport for Greater Manchester and asked for them to provide better facilities at the station. The Head for Rail at Transport for Greater Manchester replied saying that the proposal to install a ticket machine would be considered as part of the ongoing review. She also said that the next stage would be to negotiate with the new franchise owner and they were hoping to have this concluded by the spring of 2016. 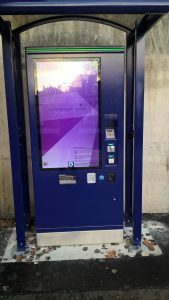 It has taken time but as you can see from the next picture, Northern Rail have installed a ticket machine at Urmston station. This will help residents using the station and give them a better experience. 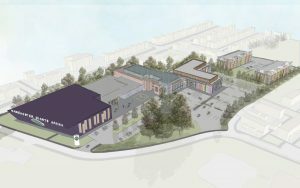 A Partington resident contacted Stretford and Urmston Conservatives to seek our help in improving access at both of ATG’s theatres in Manchester. The residents said; I am writing to you as a Carer to my wife, and for other Carers who enjoy the theatre. 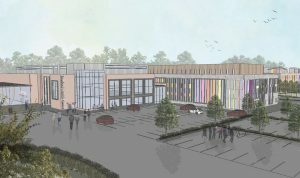 Are you aware that the two main Manchester theatres offer quite shocking accessibility for the disabled? The Palace Theatre having just FOUR none wheelchair spaces (only for those who can transfer on to a theatre seat. And the Opera House having just TWO wheelchair viewing spaces. As you can imagine it is virtually impossible to book seats for disabled people at these venues, which must have the lowest accessibility seating quota in the whole of England” He contacted us after he contacted the GM Mayor’s office who said they couldn’t assist. After contacting the Theatre Group and putting forward the residents concerns, they couple have been offered wheelchair seating for a performance. Also it would appear that the Theatre Group have improved the online booking system, allowing fairer availability for disabled seating. They have also promised improved booking by mobile device and putting in place additional training for their ticket staff. The resident said; “Thank you for all your support which I’m sure has brought about these improvements. My wife is looking forward to our trip out on Thursday, after months of being unsuccessful in acquiring a seat through what should have been a clearer and fairer process”.